When it comes to roses, many people think that red is the only way to go. However, it may be more interesting mix things up a bit by opting for roses of a different colour. These Crème Roses in Brown Wrapping, for example, are unique and stylish. You may also want to surprise your lucky recipient with these gorgeous 100 Pink Roses in a Tall Glass Vase which will leave her breathless. No matter which romantic roses you choose, don’t be afraid to switch it up and play around with colour. Why play it safe when you can send a romantic flower gift that combines an assortment of various flowers of different types? This Pink Flower Basket, for example, contains a mix of pink lilies, gerberas, roses, carnations and sprays that are delicately arranged in a woven basket. Yes, classic bouquets are gorgeous, but why not opt for something longer-lasting such as a vase or a pot? 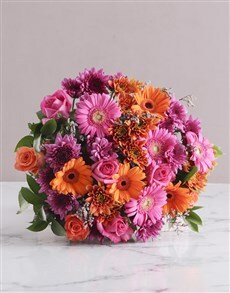 They add a whole new dimension to romantic flower gifts and are a great way to display romantic flower arrangements. 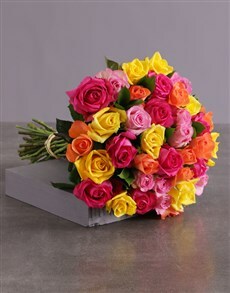 A cool example are these pink roses which come in an elegant white vase, as well as these red roses in a red flair vase. No matter which romantic flower gifts you choose, you can be sure that NetFlorist will deliver it in a swift fashion, making the recipient smile in delight. We offer nationwide delivery throughout South Africa and the online order process is very simple.